The Beauty, an incandescent new collection from one of American poetry’s most distinctive and essential voices, opens with a series of dappled, ranging “My” poems—“My Skeleton,” “My Corkboard,” “My Species,” “My Weather”—using materials sometimes familiar, sometimes unexpected, to explore the magnitude, singularity, and permeability of our shared existence. With a pen faithful to the actual yet dipped at times in the ink of the surreal, Hirshfield considers the inner and outer worlds we live in yet are not confined by; reflecting on advice given her long ago—to avoid the word “or”—she concludes, “Now I too am sixty. / There was no other life.” Hirshfield’s lines cut, as always, directly to the heart of human experience. Her robust affirmation of choice even amid inevitability, her tender consciousness of the unjudging beauty of what exists, her abiding contemplation of our moral, societal, and biological intertwinings, sustain poems that tune and retune the keys of a life. For this poet, “Zero Plus Anything Is a World.” Hirshfield’s riddling recipes for that world (“add salt to hunger”; “add time to trees”) offer a profoundly altered understanding of our lives’ losses and additions, and of the small and larger beauties we so often miss. 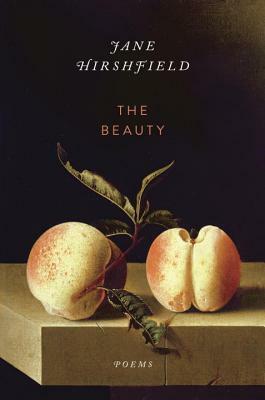 JANE HIRSHFIELD is the author of eight books of poetry, including The Beauty; Come, Thief; After; and Given Sugar, Given Salt. She has edited and cotranslated four books presenting the work of poets from the past and is the author of two major collections of essays, Nine Gates: Entering the Mind of Poetry and Ten Windows: How Great Poems Transform the World. Her books have been finalists for the National Book Critics Circle Award and England’s T. S. Eliot Prize; they have been named best books of the year by The Washington Post, San Francisco Chronicle, Amazon, and Financial Times; and they have won the California Book Award, the Poetry Center Book Award, and the Donald Hall–Jane Kenyon Prize in American Poetry. Hirshfield has received fellowships from the Guggenheim and Rockefeller foundations, the National Endowment for the Arts, and the Academy of American Poets. Her poems have appeared in The New Yorker, The Atlantic, The Times Literary Supplement, The Washington Post, The New York Times, Harper’s Magazine, Poetry, Orion, Discover, The American Poetry Review, McSweeney’s, the Pushcart Prize anthology, and eight editions of The Best American Poetry. A resident of Northern California since 1974, she is a current chancellor of the Academy of American Poets. beautifully agile and sage volume."